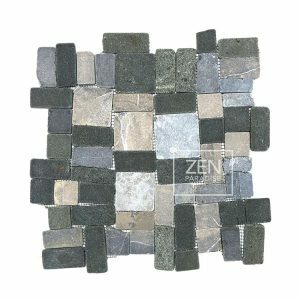 Zen Paradise created a new line of mosaic tiles made from beautiful combinations of basalt, onyx, and marble. 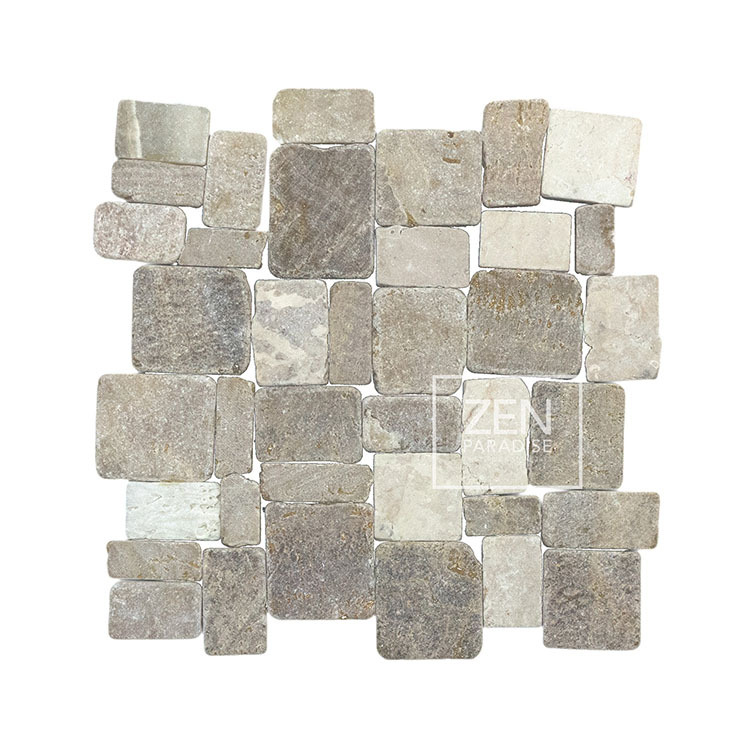 Variations of squares and rectangles are tumbled and hand crafted into mosaic tiles that will transform any area of your house into an oasis. 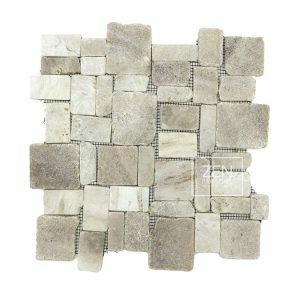 Bali Block tiles can be used to accentuate a kitchen or bathroom backsplash, bathroom floor, shower wall, or shower pan. 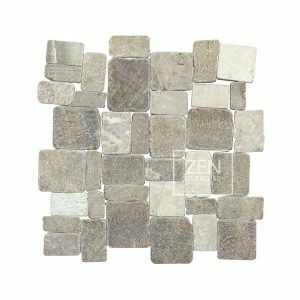 They also make for beautiful feature walls, swimming pools, and hardscapes. Size: 10.5” x 10.5” • Elevation: ⅜” • Pattern: interlocking • Finish: tumbled • Materials: basalt, onyx, and marble • Weight: 3.5 lbs.